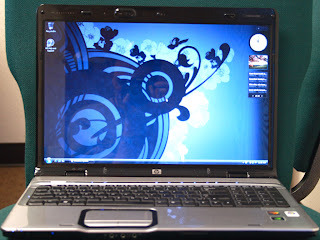 How To Disassemble the HP DV9000 series Notebook's / Laptop's Disassembly Tear-Down with photos. This is a quick post showing a DV9000 tear-down. Time for Tear-Down: 30 min. (including taking pictures) this thing is a monster with the 17" screen. 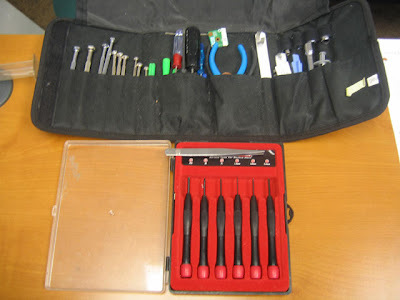 Every thing in the top Black tool kit was not used in this tear-down but is good to have when you are working on computers. The Screw Driver kit in red is a great cheap kit for 12$ at your local Tool King, Checker Auto Parts, or Wal-Mart. Now Available a PDF Download an AD FREE and Printable 3$ dollar file of this DV9000 Tear Down guide, all for less than a cup of coffee at Starbucks ;). 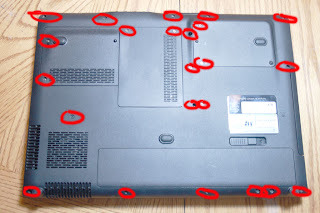 Flip the notebook over and I have circled all of the screws you can get to with out taking any of the panels off yet. 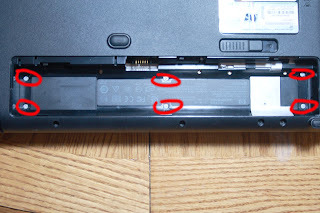 Take the battery out and you will find 6 small silver screws that hold the Quick Launch assembly. 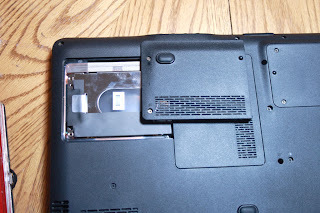 Carefully pull on the tab and the hard drive will come right out. 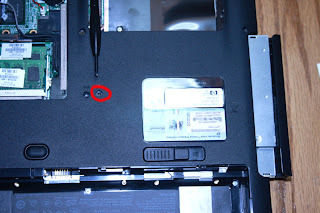 After you remove the hard drive you will find another small silver screw simmilar to the ones in the battery bay. 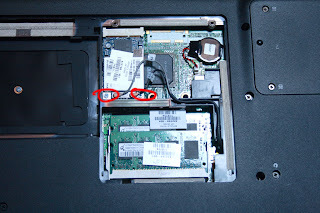 Next to the hard drive bay is where the network card and memory modules at this time you should disconnect the Wi-Fi cables you will have to pull those up through the system board later. 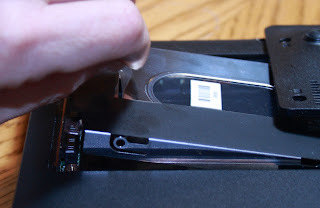 Also remove the screws in the card and remove the card it self. 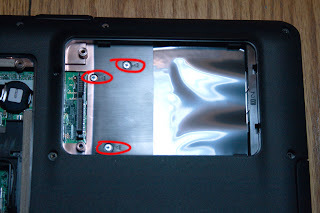 These screws go through the system board and attach to the top assembly. 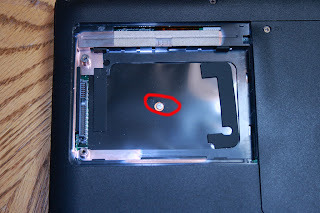 This screw most likely was already removed but this is the one that hold the DVD-RW / CD ROM in place .. after it is removed just grasp the drive and pull it out. That is all there is for the bottom of the laptop. This is the way I keep the screws organized .. some folks use Styrofoam or something else to keep them organized .. 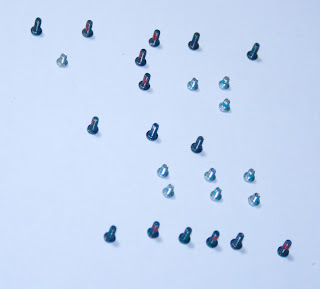 I just use a white piece of copy paper and put the screws upside down on it the way they came out ... you could label them as well ... but its up to you how you remember where everything goes. On to part 2 the link is below.